We Are Looking for Interns! 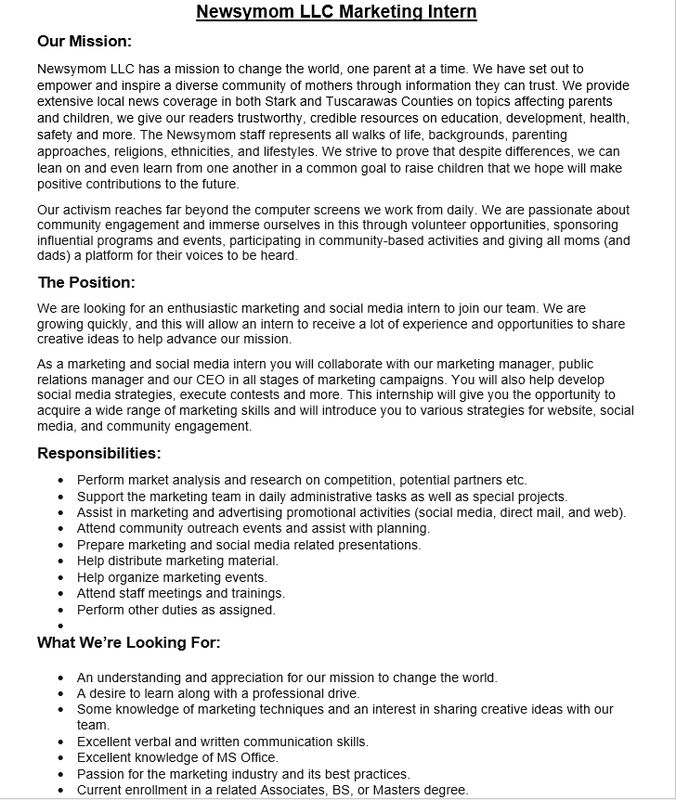 The Newsymom team is looking for energetic, dedicated individuals with a passion to change the world! We are looking to welcome two interns to our team! A Journalism/Media Intern and a Marketing Intern. Job descriptions are listed below. 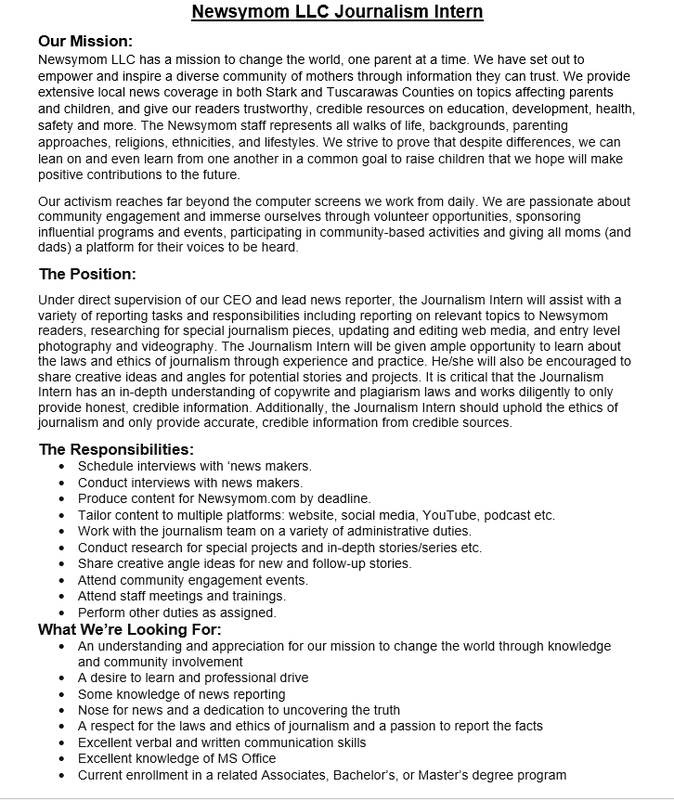 Interested candidates are asked to send their resumes to contributor@newsymom.com.